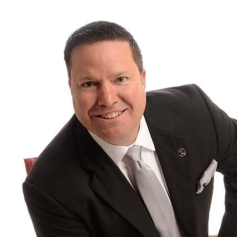 A nationally-recognized speaker, he has spoken at international conferences such as KW MegaCamp, STAR POWER, RE/MAX, Realty Executives, and the National Association of REALTORS®. He’s been on Wells Fargo Video, RE/MAX Satellite Network (RSN Live! ), NBC, CBS, and Fox. His audiences have included Realtors, mortgage professionals, financial planners, entrepreneurs, doctors, and CEOs. .. after a 30 min phone conversation got an appt. after meeting in person got a listing contract signed!! I always say if we can just get in front of people we can win their business with the tools we’ve been given…Thanks Michael for the nuggets!! I got three referrals yesterday…If you haven’t tried yesterday’s assignment, DO IT!!!! Unless you don’t like happiness and money, or something. I received a referral from a client I sold to last October. They have another home to sell. Want and Need Referrals? Are Referrals an Important Part of Your Business? Michael is the #1 International Bestselling author of (7L) The Seven Levels of Communication: Go from Relationships to Referrals and the Father and Founder of one of the fastest-growing movements in the world. The Generosity Generation has been featured in TrendWatcher and Forbes and continues to grow momentum as the largest Global Referral Network of the most referable professionals in the world. Tens of thousands have invested tens of thousands of dollars to seek Michael's wisdom, but because of the generosity of sponsor partners, Michael is delivering this NO-COST session. In A Taste of Referral Mastery, you will learn about the (7L) system and how to, “Go from Relationships to Referrals,” and improve your business, possibly change your life. This will be a fast-paced, action-packed hour of referral-generating strategies! Bring your pen and paper! We hope this event serves as a launching pad and will help you understand and implement some of the strategies and tactics of (7L). Connect with Connectors - you never know who you'll meet that could make an impact on your career. Fun Networking! Be Inspired - You will hear Success Stories from others as they journey down the same path as you. Generosity Generation - you will hear how others are implementing the philosophy of generosity to impact those around them and how it has helped them prosper! See what you get during the event.